Yes, way! Every single time, my baked potatoes come out perfect. Hence, the name. There’s no longer any guess work involved and I can easily plan ahead, get them going, and set to be finished and edible when I’m ready to serve dinner. Added bonus: 1. I save money since I no longer need to heat up the oven. The general rule of thumb is that 8 hours in the crockpot only uses half the heat of 1 hour in the oven. 2. This same technique works great for sweet potatoes too! Loaded sweet potatoes have now become a new fall favorite of mine. Wash and scrub your potatoes thoroughly. Remove any eyes or bad spots if necessary. Let the skins dry before proceeding (only takes a few minutes). Prick each potato with a fork 6-8 times per potato. Do NOT skip this step! The holes allow steam to escape as they cook. 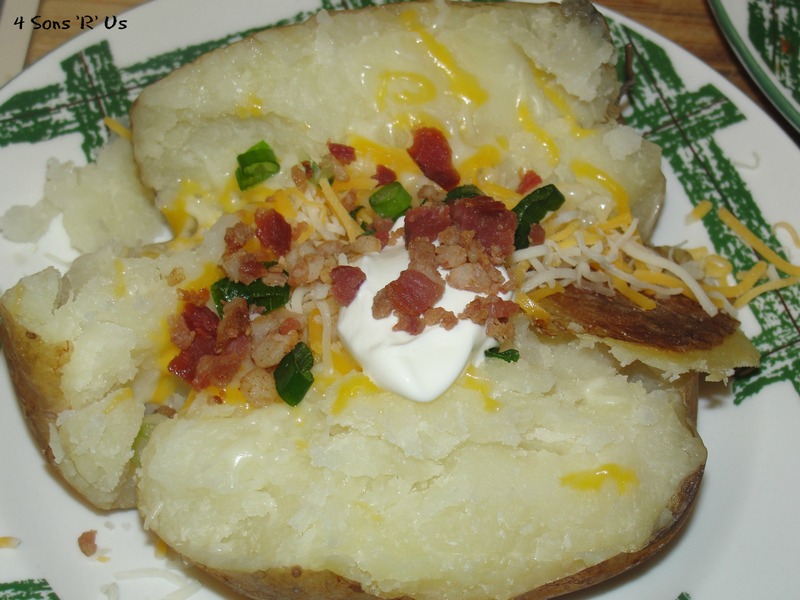 Exploded baked potato isn’t fun to eat or clean up. Drizzle a little olive oil onto each potato. Using your hands, rub into the skin all over the potato. Repeat for each potato. You can omit this step, but I like the extra crunchy skins the olive oil creates. Salt and pepper, to taste, the skins of the potatoes. 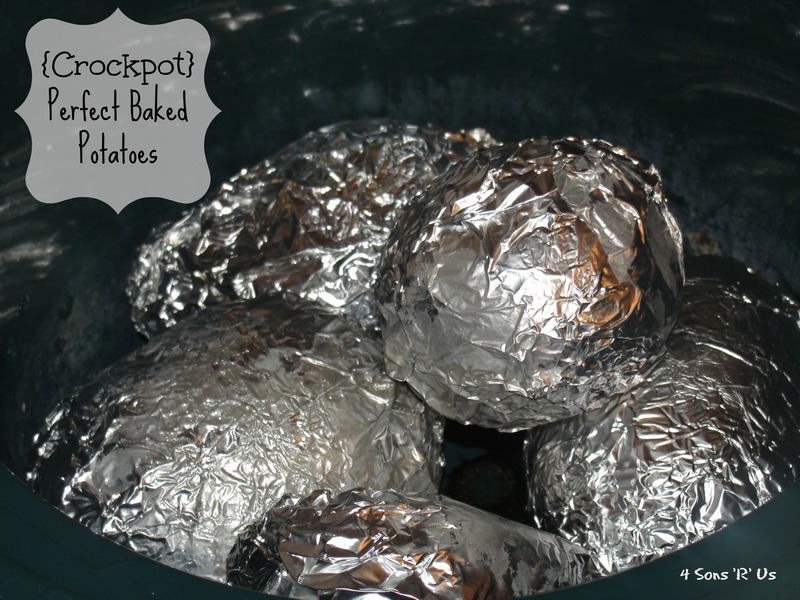 Wrap each potato individually in aluminum foil, sealing them up tightly. Place the wrapped potatoes in the slow cooker, foil seam side up. There’s no need to grease the crock pot or add any liquids. Cook them ‘dry’. Cook them on low for 8 hours, or until tender when pressed with fingers. Slow cooker times may vary a little. Remove the potatoes. Remove the foil. 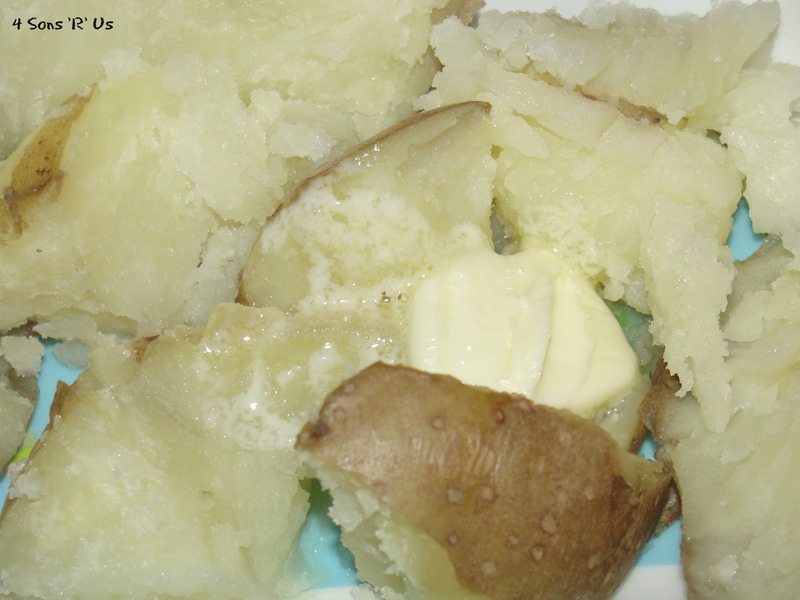 Cut a slit in the top along the center of each potato to open them up, and serve with topping of your choice.